Stress feels part of our everyday life. In fact, 65% of people in work say they are affected by stress and mental health (AON wellbeing white paper, 2016). From being stuck in traffic, to commuting on a very crowded tube, to thinking what to have for dinner tonight, to having to decide what extracurricular classes we should get for our children, we are constantly bombarded with “irritations” or decisions we need to make. We constantly borrow energy from tomorrow to get through today. And tomorrow the story repeats until it gets us on a path of mental health issues. First of all, I need to manage your expectations that it is impossible to eliminate stress from our lives. It’s just part of who we are. 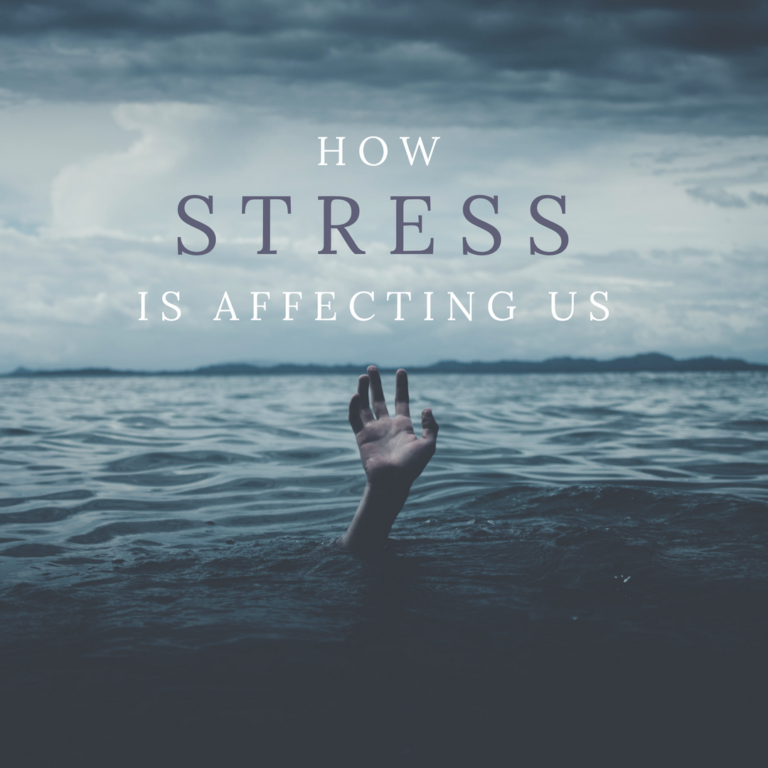 Also, stress is good for our bodies as it puts in motion the different communication paths with the brain (the neurotransmitter path, the hormonal path, and the cytokines path or the messages from the immune system). However, too much of anything leads to imbalances and the same applies to stress. While we all experienced stress at some point in our life, not everyone responds to stress in the same way. Certain genes make us more or less sensitive to stress. Our bodies have a gene called COMT which is involved in the metabolism and detoxification of stress hormones. For some of us it means that we might be born with a slower COMT enzyme which means that we are not able to detoxify/eliminate the stress hormones out of the body quickly enough. The fact that you might have a slower gene doesn’t mean that you need to live with the consequences. In fact, the environment inside the body is many times more important than the genes you have. There are so many new sources of research that link diet to mental health (Felice N. Jacka et all, A randomised controlled trial of dietary improvement for adults with major depression (the ‘SMILES’ trial), 2017). Although only a trial and done on a small proportion, it statistically showed that people following a healthier diet reversed their depression vs people following only social support. For those sceptical natures out there who believe these findings will have to be replicated in a bigger and more representative sample before guidance and practice can be changed, I would like to point out that changing your diet will only improve your life and if there is a small group out there who have demonstrated that this has worked for them then I am game. However, eating the right thing cannot be the only answer. Stress management and nutrition are interlinked and one influences the other. That is why you cannot address only one. Stress starts in the mind. If you have a healthy diet then your body is able to cope better with the effects of stress. However, if you are neglecting both mind and food then you could be faced with health issues. When you are faced with stress your adrenals start pumping hormones which essentially tell your body to send all of the energy (glucose) to your muscles. The energy to your vital organs is minimised. This includes your digestive system. In the days of hunting a stressful situation was when a predator was threating us. Now the jungle has become the big city and the stressful situations range from: quick, I need to get to work, to argh…profit margins have declined by 10% to why would the kids not go to sleep already and what I am going to cook tonight? When the digestive tract gets energy pulled from it regularly to fight the stress, we start to see issues with poor absorption, nutrient deficiencies, constipation or loose stools, indigestion, bloating, fatigue. In addition, your body doesn’t have the energy it needs to rejuvenate, cleanse and repair. Have you ever thought you looked older after you had a period of stressful situations? I started to have white hair after 1 year spent in constant stress and I still consider myself a millennial (yes!). Stress requires the release of glucose into your bloodstream which comes with the slump of energy. As the sugar hits the bloodstream, the pancreas releases insulin to transport it to the muscles With over exposure to stress the insulin is higher than the sugar available in the bloodstream. This also means that your body is craving glucose all the time. That is why when we are stressed we reach out for that sugar and we feel fatigued, tired. It is like a vicious circle. Brain and neurotransmitters are made from amino acids from the protein we eat. But their production is depends on vitamins and minerals. The more stressed we are the more we consume our body’s resource of vitamins and minerals. Stress shuts down parts of your brain, mainly the pre-frontal cortex which deals with , cognition, moral reasoning, decision-making. It is the part of the brain which separates us from monkeys and deals with the negation of impulses. This is why we might not be able to perform well certain tasks. You start to forget things or deal with so-called brain fog. This is why sometimes, in social situations we do things that otherwise we wouldn’t do. During stressful situations your pituitary gland, adrenals, pancreas and liver work around the clock to pump out hormones to control glucose in your blood which sometimes you don’t even need. This leads your body being worn out to maximum. Because most of the energy is concentrated on pumping glucose into your system your immune system is on holiday. So if you are coming across a virus or bacteria there are no troops to go and fight it. So consequently you get ill more often. This is what happens biologically to our body. But of course, if you take into account the human factor which goes through several “what if” scenarios, playing and re-playing in out minds what could we have done better, why is that person so annoying that it decided to do something you didn’t like, was it me, was it him/her? And this is happening after the situation is long gone, when we cannot do anything about it. But we “love” living in the past, tormenting ourselves linking situations to emotions. We don’t get to “rest and digest” enough to bring the balance back.